Bell shaker – with added bling! 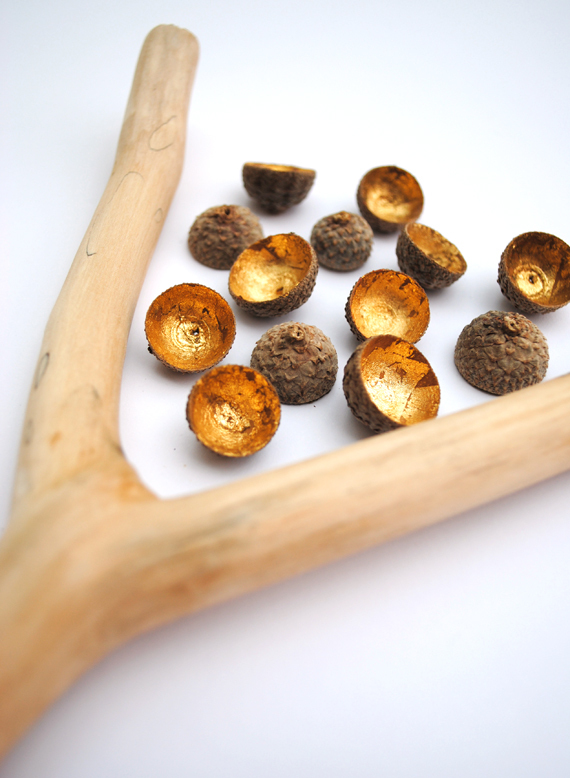 My two boys are like little squirrels and after every walk they come home with pocketfuls of natural treasures. As a consequence I keep finding little stashes of sticks, pine cones, feathers, stones, soil and acorn cups around the house…and in the washing machine! From their stash I ‘borrowed’ a stick and some acorn cups to make this cool shaker…I’m developing a soft spot for handmade instruments!! The idea comes from a wonderful bottletop shaker I saw on the web. 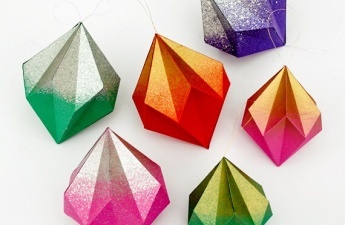 They are very easy to make and you only need a few basic tools. 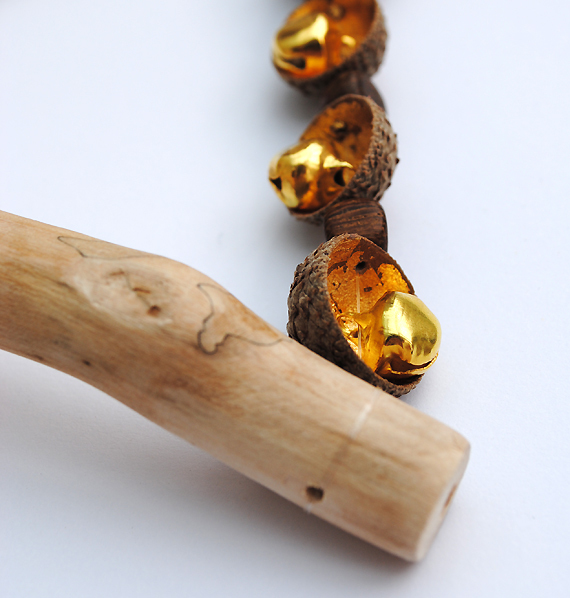 ♥ First you need to find yourself a bit of fallen branch with a ‘y’ shape bit in it! I took some secateurs (pruning shears) on our walk with us so I could hack the branch up ‘on-site’! Make sure you stamp on it a bit to check it’s not rotten. ♥ When you get home, grab a saw and chop the ends off neatly. ♥ If your stick has beautiful bark then all well and good. My stick was a bit green and slimy(!) so I removed the bark and my son helped me to give it a good sand down. 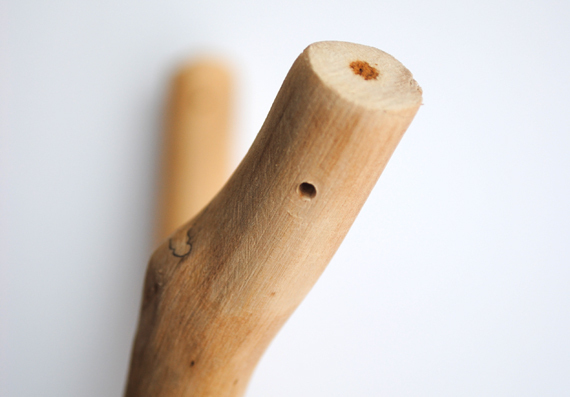 ♥ Drill two small holes in the end of the stick to thread your fishing wire into. If you don’t have bells handy then you can use bottle tops (hammered flat)….or old keys would work a treat. You could also decorate the wood. 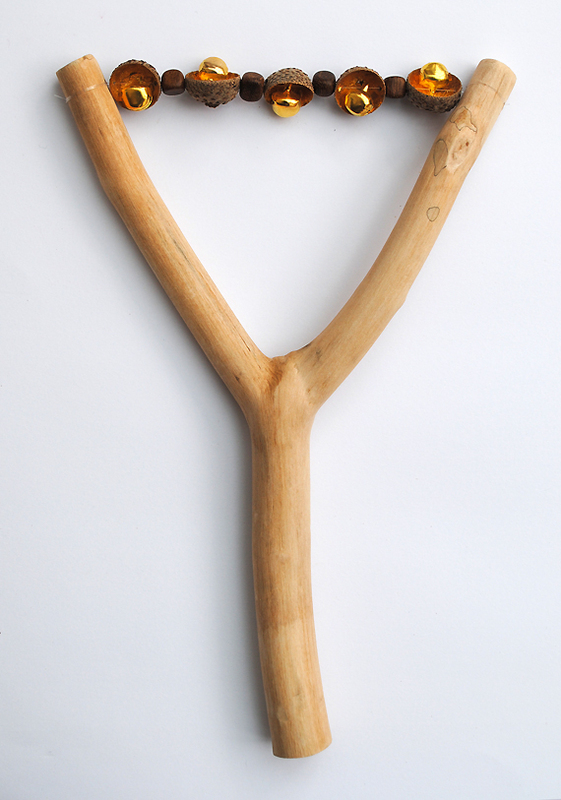 Later on you can turn the instrument into a catapult – I’m not quite ready for smashed windows yet though! Just remember full supervision for those under three because of the little bits. This is really beautiful! 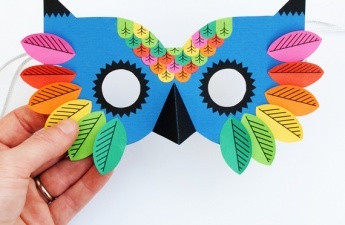 Looks so fun for kids, but it’s also really artistic – love it! You have no idea what sort of restraint it requires to NOT reach through my screen here and shake the bajeezers out of that thing. PS: Love the gold lined caps. Lovely touch! Thanks peaches…I am an avid reader of your blog and know we feel the same way about gold leaf!! I just love the fact you can buy real gold…for not very much money…and then smother all your possessions in it – haha. Beautiful! How do you make the holes in the acorn tops without breaking them to bits? 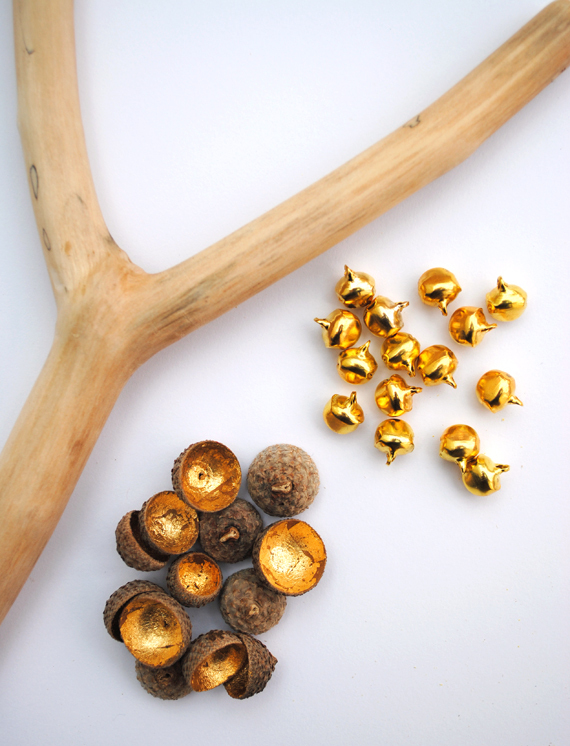 The gold is striking in the acorns! Lovely, indeed! Another inspirational creation that is being added to my Must Make list. 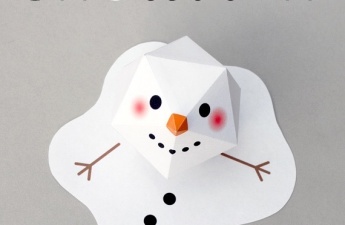 SO much love for this…I want to make it NOW. Wow Kate! Very lovely – where do you buy gold leaf? Hi Helen…Ebay. It’s not that expensive…usually just a few pounds. You can buy it from arts and crafts shops but I’m a bit of an internet shopper myself!! kate, this is absolutely fabulous! i will have to try this with my girls! This is fantastic! You did a beautiful job!